Boston Film Festival guest.. two filmmakers and Leslie Morris, Curator of Harvard's Houghton Library, Carole and director of documentary Joe Mantegna. 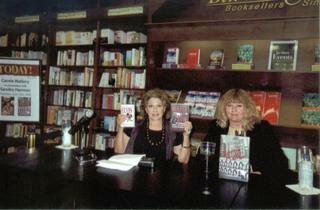 Carole and Mary Dearborn, author of MAILER @ the Boston Film Festival Premiere of "Norman Mailer, The American"
Friends at book signing at Willow Grove, B&N, in Pa.
Carole signing books at B&N in Devon, Pa.
Carole at a reading at Devon B&N, Pa.
Young "stews" like Carole Mallory (above) and Lorraine Veve Roy sought freedom and even husbands in the sky —but often faced sexual harassment and mandatory weighins instead. Last month, ABC premiered its new show, "Pan Am," a 1960s period drama chronicling a coterie of Pan Am stewardesses and pilots in a campy spy plot that, while admittedly cheesy, examines the sexism and struggles of young women of the era. While critics have responded to the show with a resounding "Meh," the show has struck a chord with employees from the airline's golden age. Like many women on the show, being a stewardess offered a chance to see exotic locales or just escape the routine of their everyday lives. Carole Mallory was engaged to be married to a man she remembers as "all-American." At the time, she was teaching at a high school, where she wasn't much older than the students. The illness of Mallory's father also weighed heavily on her. "I felt stifled," she says. "I wanted to get away." These things, plus a desire to travel, led Mallory to cut loose and join the league of glamorous jet-setters known as Pan Am stewardesses. 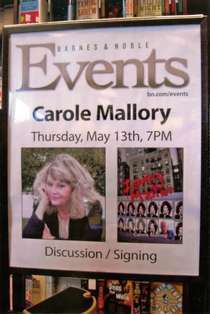 An event was held at 82nd and Broadway Barnes and Noble in NYC at which author Carole Mallory was interviewed by author Sandy Harmon about LOVING MAILER and its relationship to Mailer's writing. 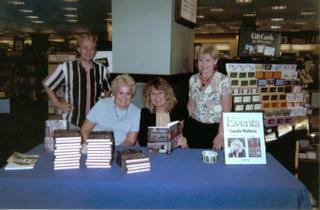 Carole signed copies of LOVING MAILER at B&N in Cherry Hill, N.J.
Carole read from and signed copies of LOVING MAILER at B&N in Devon, Pa.
Carole signed copies of LOVING MAILER at B&N in Willow Grove, Pa.
On January 27, 2011, Mallory will give a lecture in Manhattan at the Gerson Cultural Arts Series at the National Council for Jewish Women created by Eleanor Roosevelt. 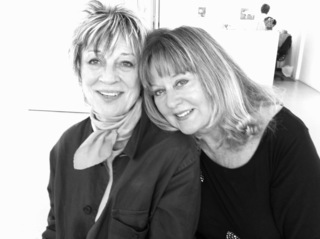 Her lecture will be on Norman Mailer and how LOVING MAILER relates to his writing. Currently Mallory is performing an interactive lecture with her new ten lb Maltese called"Travels with Monsieur Herbert" and traveling to retirement communities with hopes of inspiring residents with stories from her life and how she overcame obstacles which has made her resilient and empowered her. She hopes to capture this resilience in her talk and project onto others with hopes of instilling a will to live.